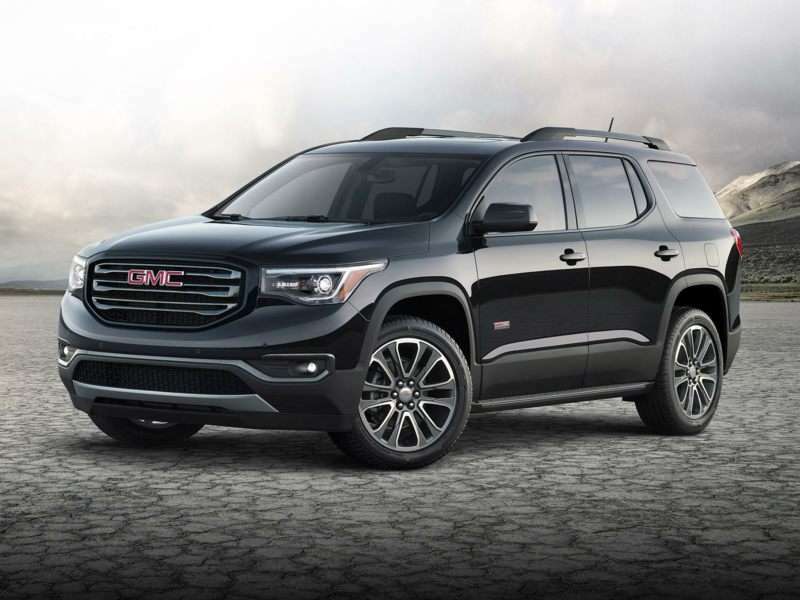 The 2019 GMC Acadia is a 4-door, 7-seat Sport Utility, available in 11 trims, ranging from the SL FWD to the Denali AWD. Upon introduction, the $29,000 SL FWD is equipped with a standard 2.5L, 4-cylinder, engine that achieves 21-mpg in the city and 26-mpg on the highway. an Automatic transmission is standard. The $47,500 Denali AWD is equipped with a standard 3.6L, 6-cylinder, engine that achieves 17-mpg in the city and 25-mpg on the highway. an Automatic transmission is standard. The General Motors Truck Company, or GMC Trucks, was founded in 1912 and built commercial trucks. In the years that followed, GMC assembled a variety of different vehicles, including buses, semi-tractors, and even motorhomes. The first time a GMC badge was affixed to a vehicle shared with Chevrolet was 1937, when both brands shared a new model called the Suburban. It wasn’t until the 1960s that GMC started cloning Chevrolet pickups, vans, and SUVs in earnest. In 2010, GMC stopped building medium-duty trucks in order to focus exclusively on serving consumers and commercial interests with less robust vehicle requirements. Autobytel’s archive of GMC pictures dates to 1999, and does not include the medium-duty models. That doesn’t mean we don’t have photo galleries of recently produced workhorses. Our collection of GMC photos includes commercial-grade version of both the GMC Savana van and GMC Sierra full-size pickup truck. People will also find duds like the GMC Envoy XUV, an SUV that had a powered panel above the cargo area that could open to carry tall items, as well as winners like the GMC Terrain crossover SUV in our collection of GMC images. As an aside, it should be noted that GMC has historically been used to give General Motors brands other than Chevrolet the ability to sell trucks. Years ago, Buick, Pontiac, and Oldsmobile dealers could add a GMC franchise in order to give truck buyers an alternative to Chevrolet. Typically, GMC models were perceived to be slightly more upscale, an image that persists today through styling changes and the exclusive Denali lineup. The difference today is that GMC is paired exclusively with Buick in the U.S., though it continues to base its entire lineup on vehicles that are also sold down the street at the Chevy dealer.